The popularity of Twitter as a marketing platform is unsurpassed. Content is easily shared and then shared again giving brands the perfect opportunity of getting their product or services in front of potential buyers or subscribers. 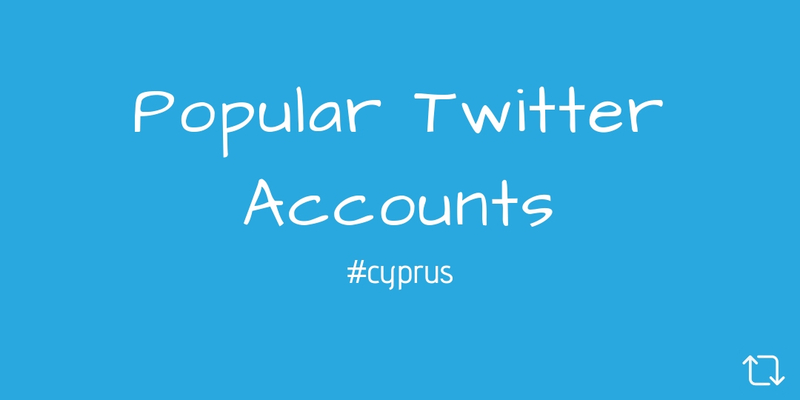 We have researched Twitter accounts in Cyprus and have selected 10 that we feel are excellent resources and worth following. Cyprus4Holidays promote tourism companies and their offerings on this beautiful and sunny island! Airports, airlines, hotels, boat trips and much more are featured for holidaymakers here and abroad! Click to Tweet. The Cyprus Mail is the island’s leading English daily newspaper. Covering local and international news including sports, entertainment and political news. Click To Tweet. The Official Account of the Ministry of Foreign Affairs for the Republic of Cyprus. Responsible for relationships with other states in Cyprus and abroad. Click To Tweet. Visit Cyprus is the official portal of the Cyprus Tourism Organisation (CTO) a semi government operation that promotes the island and it’s charm to tourists living in Cyprus and abroad. Click To Tweet. Cyprus Today covers just about everything! From politics to history, from travel to the environment, from business to wildlife this account really is worth following. Click to Tweet. Louis Hotels offer 4 and 5 star accommodation in Cyprus and Greece. Part of the Louis Group which is an established Mediterranean tour operator that also offers cruises and land based holiday packages. Click to Tweet. Cyprus.com are working towards the goal of being the biggest business portal in Cyprus. The site includes both editorial content and business reviews. Run by the good folks at the University of Cyprus! Click to Tweet. What is more important in Cyprus than eating! Looking for recipe inspiration or maybe you want to visit a different taverna every night? Then this is a must follow account. Click to Tweet. The official account of the University of Cyprus. Established in 1989 the university has an impressive reputation despite it’s relatively short history. Click to Tweet. Heart Cyprus promotes the island and it’s many benefits in partnership with organisations that have similar objectives. The goal is to ensure that Cyprus is seen as a top destination internationally. Click to Tweet. We hope you find this resource useful and if you have any other suggestions for possible inclusion please get in touch.